The show centers around a Malaysian pharmaceutical company utilizing a new virus to create a crisis. A secret organization, referred to as “The Leaker”, discloses these details. 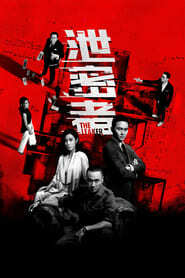 Following the suicide from the pharmaceutical company’s boy along with a local reporter, the wife from the pharmaceutical company’s owner leaves for Hong Kong. A Malaysian police chief , Hong Kong officer, and journalist interact to discover her location.